Cloud computing is the norm nowadays, and storing files in the cloud can be a smart move, as It means your files are available anywhere and from any device. AnyTrans for Cloud by iMobie provides you a secure and smart cloud manager to easily and efficiently manage all your cloud accounts in one safe place and 100% FREE. 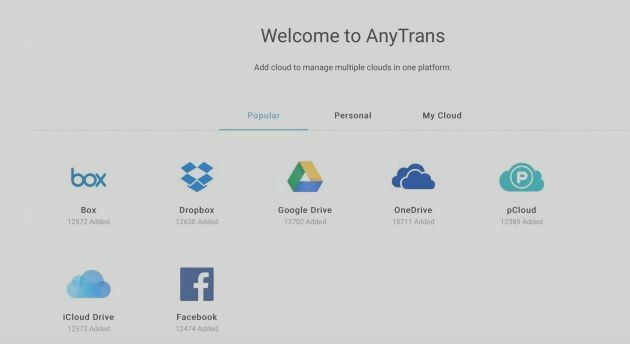 AnyTrans for Cloud currently support Dropbox, Google Drive, iCloud Drive, OneDrive, Box, and pCloud, with the promise of adding more cloud providers soon. It affords you the access to manage multiple clouds, as well as multiple accounts on the same service, right from one place. And you don’t have to download and install numerous apps, and no need to sign in and out from different accounts, as it handles all your cloud content with just a single login. AnyTrans is also available across all platforms and devices to fulfill your different demands in different cases, from desktop, to smartphone (both Android and iOS), or tablet, and whether you are at home, in office, or on the go, you are conveniently covered by the service. File Syncing: AnyTrans is capable of syncing your files automatically to any target cloud service. 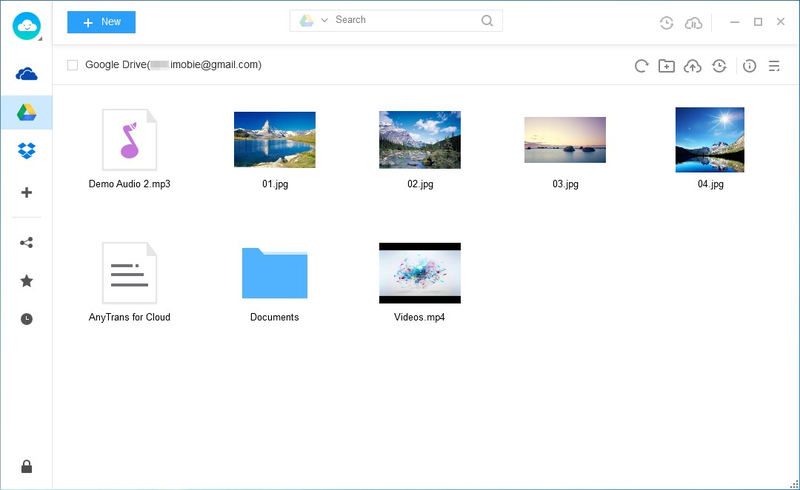 And it allows you to store your photos, videos and other large files in perfect sync between two cloud storage services, with a custom time scheduling. This nifty feature lets you keep your ongoing projects perfectly synchronized between your primary cloud storage and your backup cloud service, for instance. And it affords you a cloud-to-cloud transfers that can be initiated without the need for a constant Internet connection because AnyTrans engine in the cloud communicate to servers automatically. It offers 3 customized cloud-to-cloud sync channels: Online, Offline and Premium, while the Premium channel is faster than the Offline and Online channels when transferring files from one cloud drive to another. And you can set schedules to automatically transfer or sync photos, videos, files, folders, etc, from one cloud service to another, at the time of your choosing with the premium service. 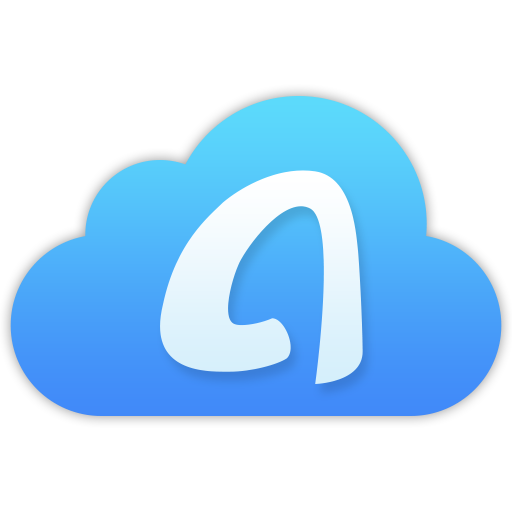 Secure, Simple and Flexible Way to Share Files: AnyTrans takes several big steps forward to give you more power in cloud file sharing. You not only have 100% freedom to share any file or folder you want in a way much easier, and more flexibility; but most importantly, it is absolutely secure. It adopts Google’s Two-Factor Authentication systems, as well as SSL-256 encryption technologies to ensure robust security for all your uploaded files. Additionally, you can access AnyTrans from Windows PC or Mac, or even through a web browser from any computer, smartphone or tablet. The ability to migrate files between cloud services without bandwidth limitations is perhaps the best part of the AnyTrans for Cloud offerings. As neither Apple’s Files app or any other major cloud solution supports this capability, and it’s especially handy if you’re on a metered Internet connection.